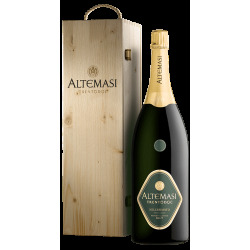 Altemasi is a prestigious TRENTODOC, Trentino's Metodo Classico sparkling wines. These bubbles from the mountains, produced with Chardonnay and Pinot Nero grapes, make the slow passing of time the hallmark of its style. These sparkling wines owe their outstanding finesse and elegance to the choice of leaving them on the lees for at least 36 months. 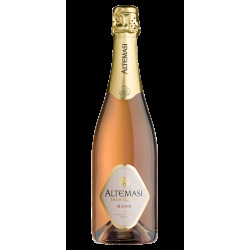 From the award-winning Altemasi GRAAL Riserva to the luscious, fruity Rosé. Altemasi, literally “from the highest masi”. ALTEMASI There are 11 products.